You know we're all about a good DIY project. From IKEA hacks to creating your own decor accents, they're a great way to save money and get creative. But when you start trying to take on bigger home improvement projects without the guidance of a professional, things tend to go awry. There's a reason why people build their entire careers around these skills, after all: because they're not as easy as they look. ImproveNet, a site that matches you to local home improvement professionals, recently conducted a survey to find out what home improvement project DIYs people regret having embarked on the most. 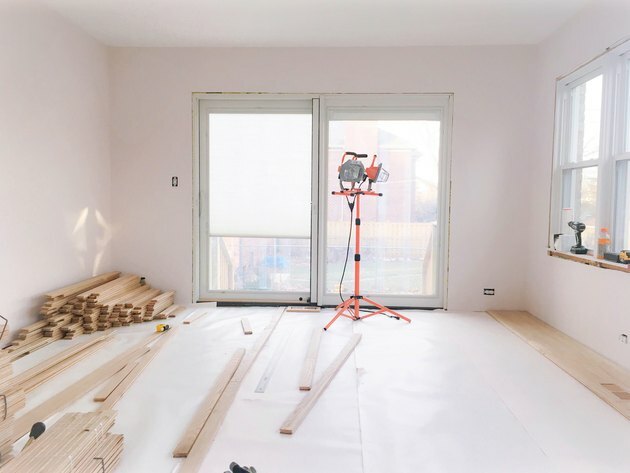 They surveyed 2,000 Americans who have attempted at least one of the DIY home improvement projects included on their list of 32 primary project types. The average number of projects these individuals have attempted is eight, and 63 percent regret doing at least one of them. Also, 1 in 3 DIYers have called a professional to redo their botched work. And how did these projects go wrong? Of the surveyed, 55 percent said a project they've embarked on took longer than anticipated, 50 percent said it was physically harder than anticipated, and 48 percent said it was technically harder than anticipated. Anyway, we're not here to discourage you from taking on that weekend DIY home improvement project you've been planning. But if what you have planned is among the top 10 above, just maybe you should think twice. How Much Do Barn Homes Cost to Build?